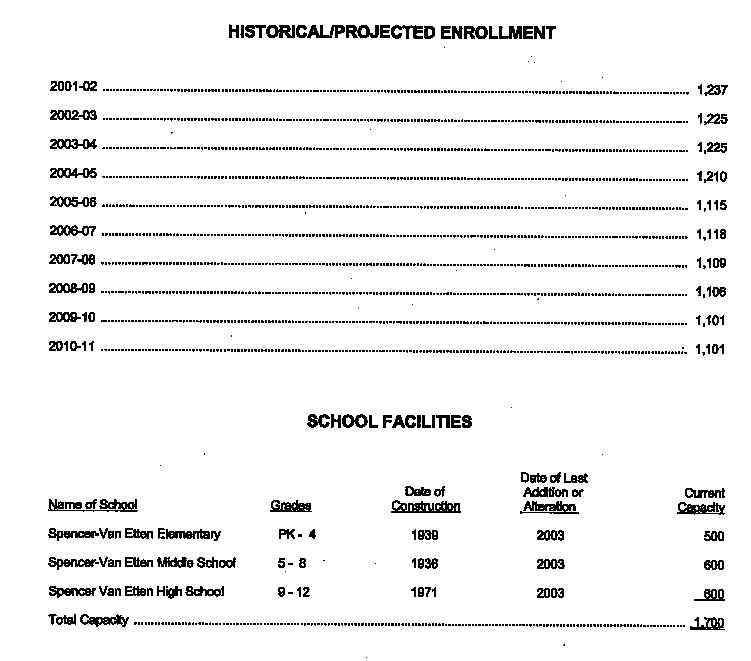 Below enrollment information as of April 10, 2006. The enrollment numbers clearly show the folly of superintendent Bailey and his "building" committee pushing for more space construction. We have 1115 students and if you look at "School Facilities" you can see that we have space for 1700. We have therefore room for 52% more students than we have now and the enrollment is projected to go down even more. With 52% over capacity, can you imagine what that waste costs us in building costs and heating and maintenance?